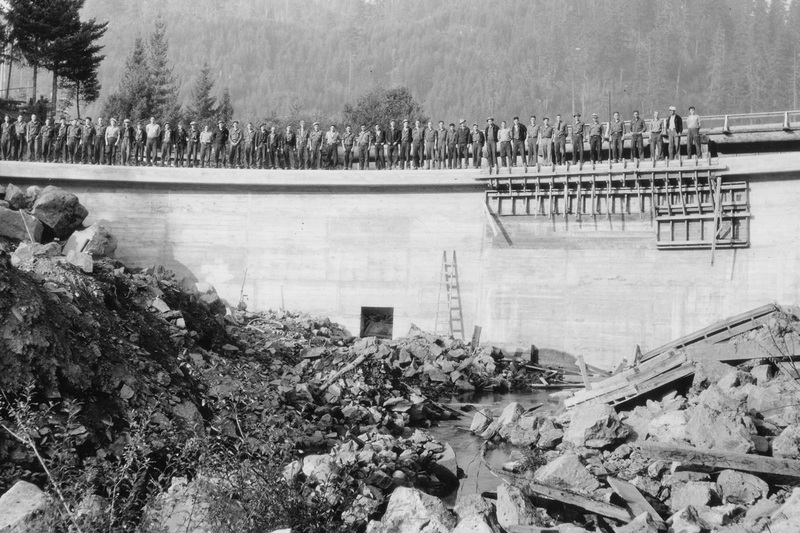 This historic photo shows Hemlock Dam just after construction was completed in 1935. 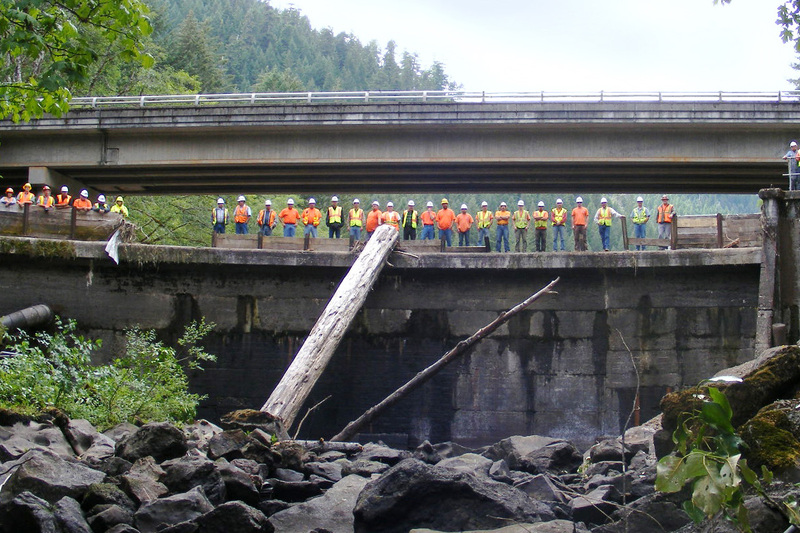 Our team prepares to remove Hemlock Dam 76 years later. 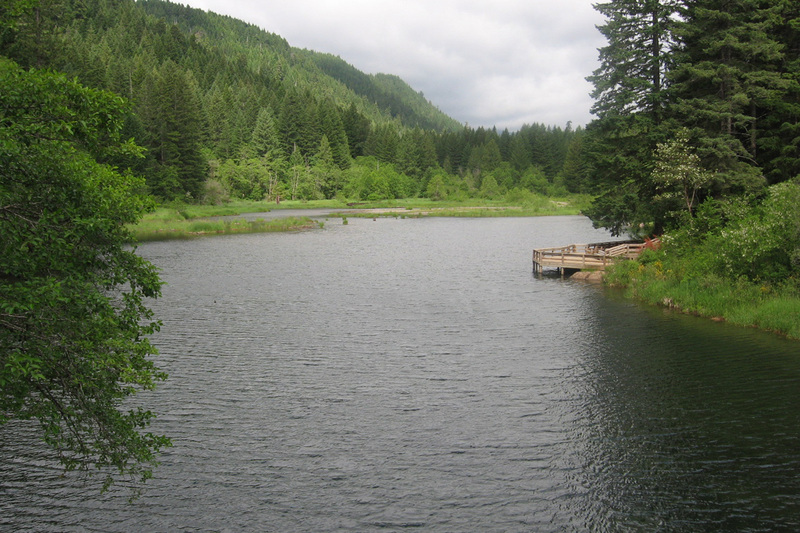 The 26-foot tall dam and its reservoir had inadequate fish passage, interrupted sediment transport, and elevated summer stream temperatures in its reservoir–temperatures that can be fatal to threatened Lower Columbia River Steelhead. 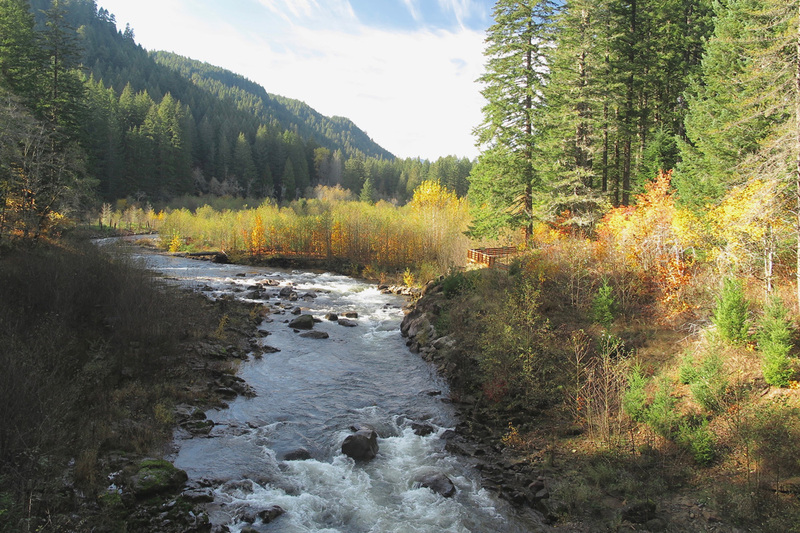 The reconstructed stream channel emulates natural systems. 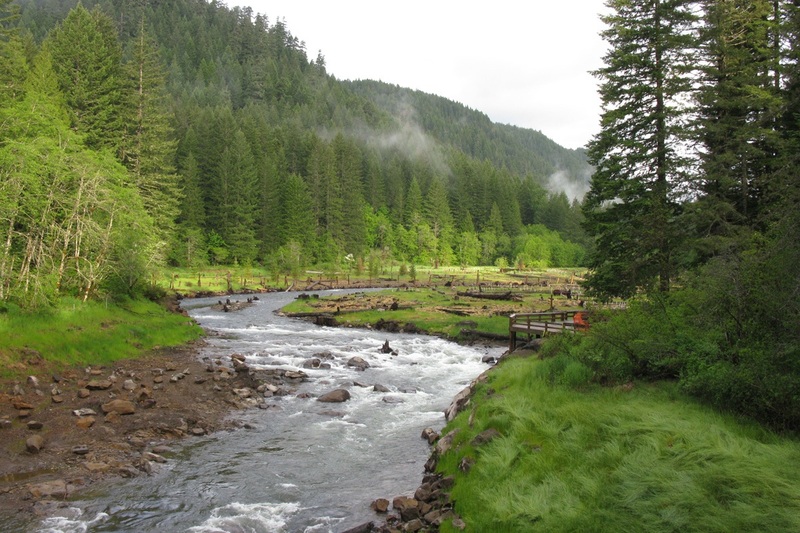 Construction involved restoring 2,000 feet of the pre-dam reservoir to a dynamic river that followed its historic channel. Photo in 2016, 7 year after removal.